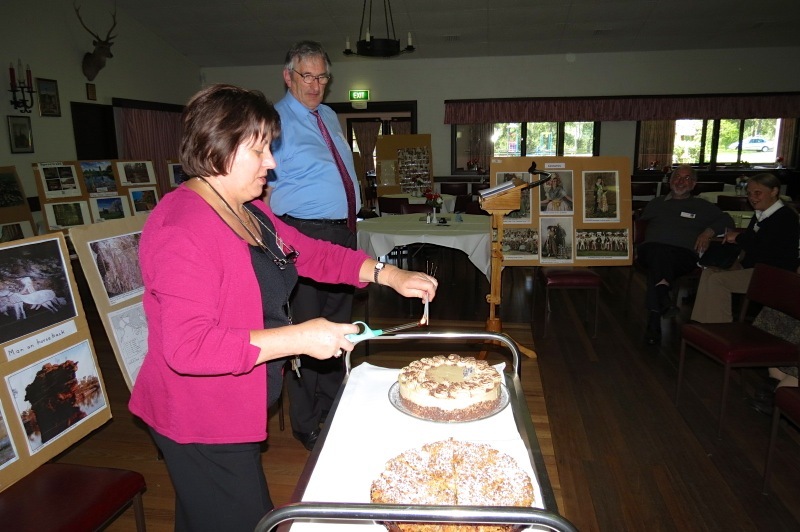 On Sunday 7 April 2013, the Wendish Heritage Society Australia celebrated the 200th birthday of Ludwig Leichhardt with a cake and Happy Birthday. We presented Hans Finger’s very interesting lecture about Leichhardt, which Hans had previously presented to the students at Göttingen University and which has been posted on this web-site under Publications/Articles. 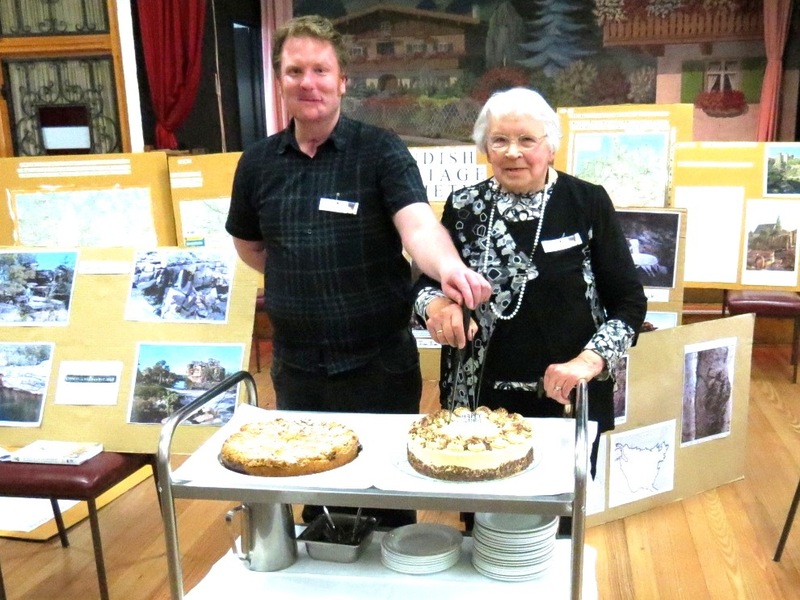 On Saturday 12 October 2013 from 12.30 pm, we continued this Leichhardt Anniversary theme at our Annual Wendish Luncheon at the Austrian Club on Sheehans Road in West Heidelberg. 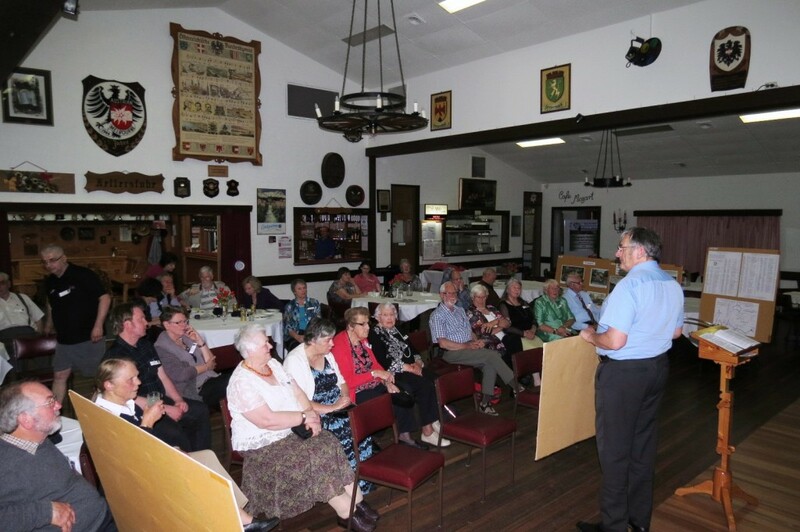 Two authors have recently published books on Ludwig Leichhardt. These have included Dan Baschiera, who wrote “On Leichhardt’s Path, 1845” which investigates Leichhardt’s expedition through Kakadu and Darrell Lewis, who wrote “Where is Dr Leichhardt? The Greatest Mystery in Ausralia”. These books have been kindly donated to our Library and reviews of them have been posted on this web-site under Publications/Book reviews. These two authors when contacted were happy for us to present highlights from their books during this Luncheon. The Austrian Club provided us with exclusive use of their entertainment area, which seats about 200 people. 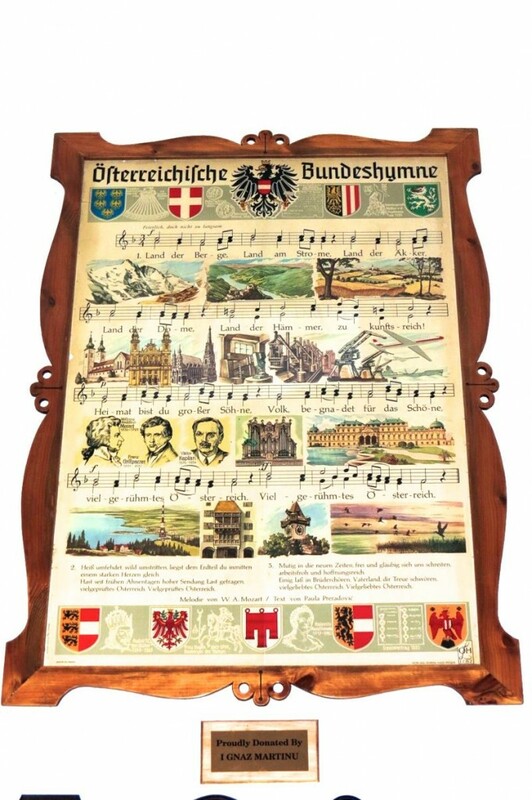 The Austrian-styled menu provided a good range of meals and they were paid for when ordered. This avoided any later confusion about payments. 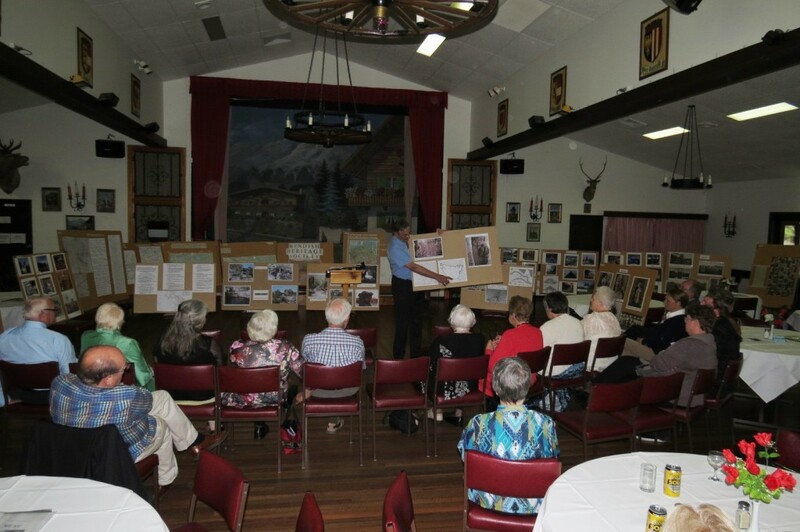 We also set up about twenty display boards with information and illustrations about both the history and customs of the Wends and about the contents of and illustrations from the two books on Leichhardt mentioned above. A pictorial display photographed by Colin Huf has been posted below and an additional chapter of a book of short stories by Hans W. Finger about Leichhardt called “Into the Red Heart” has been posted under Publications/Articles. A more detailed report is at present being prepared by one of the celebration’s participants. 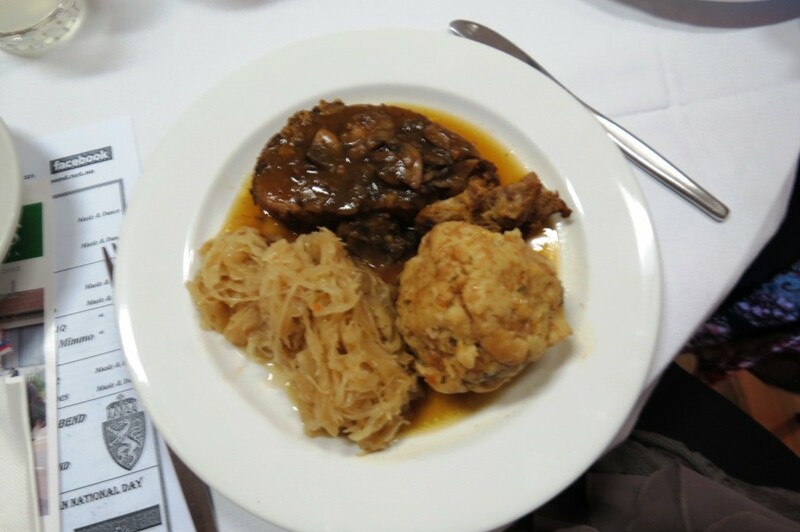 This Luncheon clearly helped those present to recall and to remember Australia’s lost but not forgotten Germanic/Wendish Explorer Ludwig Leichhardt. The photo of the Kangaroo sign was taken by Alfons Frencl from Rosenthal in Upper Lusatia. 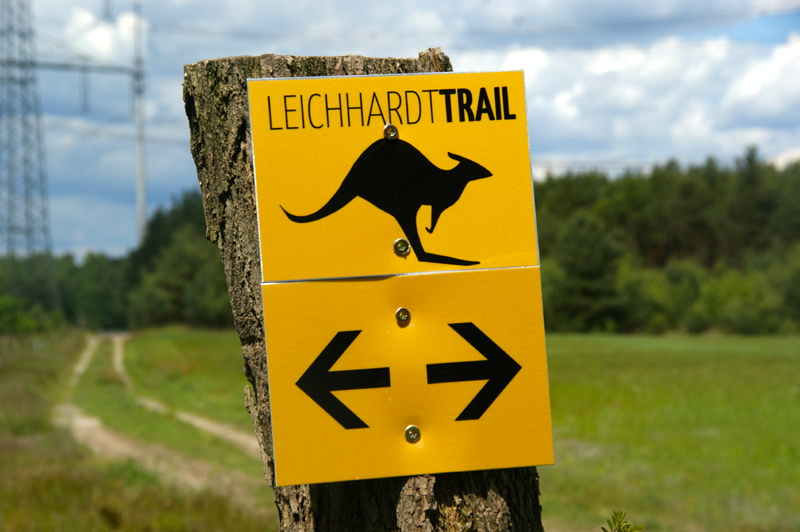 It is of the Leichhardt Trail from Ludwig’s home-town of Trebatsch to Cottbus in Lusatia. The photos taken at the luncheon were kindly submitted by Colin Huf.